What is your idea of fun? Are amusement parks your “thing” or does bird watching make you sing? Do you prefer gambling or golf? Have you always wanted to see a whale or would you rather see the stars? There’s no shortage of things to do in California, and depending on time and/or budget constraints it’s not exaggerating to say you can pretty much do it all here. Amusement & Attractions — a) Amusement & Theme Parks; b) Tourist Attractions; c) Zoos, Gardens & Aquariums; d) Miniature Golf; and e) Landmarks & Historic Sites. Tours & Side Trips — a) Greyline and self-guided Tours; b) Scenic Drives and Walks; c) Railroad Tours & Trips; d) Boat Tours; e) Winery Tours; f) Movie & TV Studio Tours; and g) Hot Air Balloon Trips. Museums, Galleries, Etc. — a) Museums & Galleries; and b) Cultural and Historical Points of Interest. Spectator Sports — a) Baseball; b) Football; c) Basketball; d) Hockey; e) Auto Racing; f) Horse Racing; and g) Dog Racing. Outdoors Activities — a) Golf; b) Tennis; c) Swimming & Surfing; d) Horseback Riding; e) Hiking; f) Bicycling; g) Boating & Fishing; h) Birding; i) Parks/Forests; and j) Water Slides. Nightlife — a) Bars & Clubs; b) Comedy Clubs; c) Casinos; d) Live Music; e) Live Theatre; f) Movie Theatres; and g) Ballet, Symphony and Opera performances. Shopping — places to find the unique items for you or your loved ones. Look through the above list and decide which California things to do sound best to you, and then use that information to decide which California area(s) you want to include in your vacation, holiday or getaway plans. This California Vacations article may also be of use as you try to decide where to go and what to do. 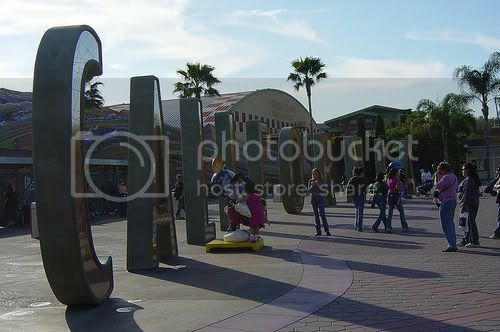 Photo of Disney’s California Adventure entrance by Pot Noodle via flickr (Creative Commons).